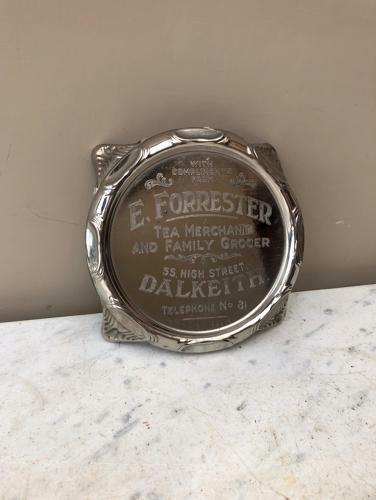 Wonderful condition Early 20th Century Advertising Teapot Stand from "E. FORRESTER. TEA MERCHANT AND FAMILY GROCER. 55, HIGH STREET. DALKEITH. TELEPHONE No. 81"